The field of medicine is always evolving and improving. In recent decades, one of the major advancements in treating patients is robotic surgery. 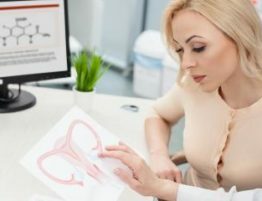 If you are unfamiliar with the machinery and the innovations it provides the field of gynecology and other specialties, here are four answers to frequently asked questions about the method and equipment. Robotic surgery refers to medical procedures performed with the assistance of special equipment. Instead of making incisions by hand, a highly trained gynecologist or surgeon controls robotic instruments with a computer to successfully complete a myriad of procedures and movements with increased precision. Minimally invasive surgeries use robotics to minimize the size and number of incisions necessary. As a result, there are fewer complications, faster recovery times, and less pain and scarring. They also require less time under anesthesia. What Procedures Are Commonly Performed Using Robotics? Robotic surgery can be used in a variety of operating rooms, for a myriad of medical needs. Common applications include kidney and gallbladder removals, transplants, and coronary artery bypass. 4. 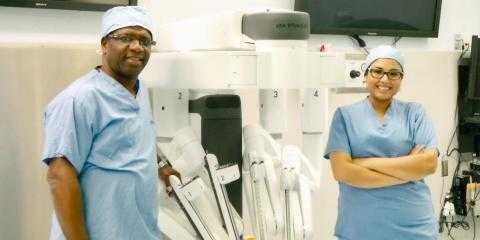 Do Gynecologists Offer Robotic Surgery? Many gynecologists offer this approach, as the tools have become increasingly helpful to treating women’s health issues. While using a robotic arm requires additional training and experience, OB-GYNs have embraced this technology when performing sacrocolpopexy, myomectomies, and hysterectomies.